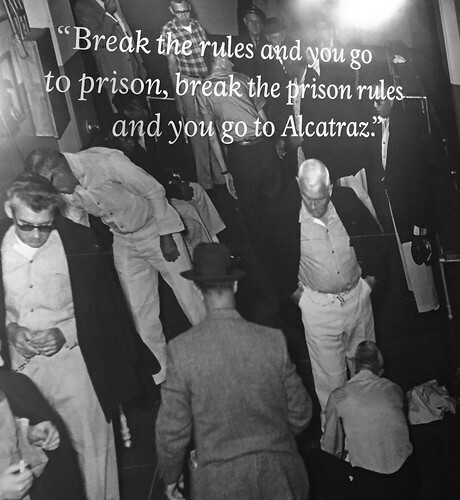 This photo showcases an old saying about Alcatraz's reputation-"break the rules and you go to prison, break the prison rules and you go to Alcatraz". This saying encompasses the attitude of the general population towards Alcatraz inmates during the time the prison was open. Alcatraz was known to be the home of only the most difficult, dangerous, hardened criminals.